A few streets away, a car putting down the twisted hill. It halted outside a block of mulberry-brick flats. A small boy emerged from the back seat, out onto the pavement. He was carrying a suitcase. He stood there, looking upwards. His skin gleamed like snow. in the middle of the road a sleek cat lay stretched out, absorbing the sunshine. It is 1942, and Columba (who was named after a nun) is growing up in war time Sydney. A new boy – a refugee from ‘You-rope’ – appears in the neighborhood, at about the same time as a strange blue cat. Columba is intrigued by the new boy, Ellery, though he doesn’t speak English and Columba struggles to understand where he has come from and why he is here. This isn’t the only thing she struggles to understand. Why are the cloaks being put forward for an hour? Why do the adults talk about ‘taking people’s minds off things? And, with Singapore falling, and regular air raid practices, will they be safe here in Sydney? The Blue Cat is an enchanting piece of writing. Historical fiction with just a tiny twist of magical realism, it is a gentle story of the confusion of a child faced with frightening, not-quite-understood events. With an insight into how the childhood experiences of Australians during the war years, and to harbourside Sydney life, this is an entrancing read. But I did, I did! There was no way I was letting go of it. It was my scrapbook, my scrapbook about the little princesses, Elizabeth and Margaret Rose – the one I’d been named after. I’d been keeping it for years, cutting out and sticking in pictures of the little princesses and all their doings from magazines and newspapers. It was very special to me, that scrapbook, and I wasn’t letting go of it for anything. It was the reason I was still alive. 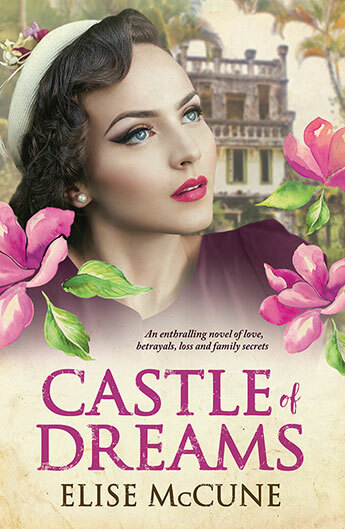 It is 1940, and Margaret Rose lives in London, far away from her cousin Lizzie in Australia. But when Margaret Rose’s family home is destroyed in an air raid she finds herself bound for Australia on a ship. Lizzie’s family are happy to take Margaret Rose in, but Lizzie isn’t so sure. Her cousin is getting all the attention, and Lizzie’s life is changed by sharing her bedroom and her classmates. The war takes a little longer to reach Townsville, in Australia’s far north,and Mrgaret Rose is safer there. But as the war rolls on, it also draws closer to Australia, and both girls share the realities of war time life. Lizzie and Margaret Rose is a story of war, of family and friendship set both in London and in Townsville, as well as on the ship travelling between the two countries. Told in the alternating first person voices of the ten and eleven year old cousins, it provides an inside look at the effects of war, and particularly World War 2, on children and on day to day life. While thoroughly researched and complemented with back of book notes, the story is front and center rather than being used to string together lots of facts,, making it really satisfying.